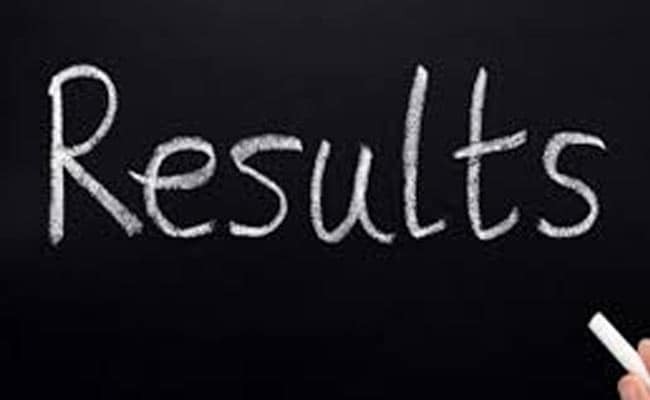 The CMS 2017 result is available at the official website upsc.gov.in. The Commission has also maintained a consolidated reserve list of 160 candidates. New Delhi: Union Public Services Commission (UPSC) has declared the final result of the Combined Medical Services (CMS) Exam 2017. 637 candidates have been recommended for appointment to the services/posts in the Assistant Divisional Medical Officer in the Railways; Assistant Medical Officer in Indian Ordnance Factories Health Service; Junior Scale Posts in Central Health Service; General Duty Medical Officer in New Delhi Municipal Council; and General Duty Medical Officer Gr-II in East Delhi Municipal Corporation, North Delhi Municipal Corporation and South Delhi Municipal Corporation. Srimanta Sundar Padhi has topped the examination. The mark sheets of candidates will be available on the official website of UPSC after first week of January 2018. The exam will be conducted without 'general ability' paper from the next year. The Commission had notified about the major changes in the scheme of exam and the syllabus for CMS. 'The changes will be made effective from CMS 2018,' says the Commission. Though mark distribution for part 1 and part 2 exam is same; it has been decided to junk off general ability paper in the computer based exam. Details of the exam pattern change can be found at the official website upsc.gov.in. Paper 1 of Computer based exam will comprise of questions from General Medicine and Paediatrics (96 questions from General Medicine and 24 from Paediatrics) in contrast to the previous years pattern where each of the sections carried 70 and 20 questions, respectively and 30 questions were asked from general ability section. No major changes have been decided for paper 2. The exam pattern remains the same with total marks as 250 and questions will be asked from surgery, Gynaecology & Obstetrics and preventive and social medicine. 40 questions will be asked from each of the sections.